SAP High-performance Analytic Appliance is an In-Memory Database from SAP to store data and analyze large volumes of non-aggregated transactional data in real time. 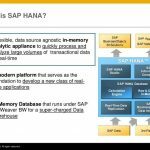 Basically, SAP HANA is a database. It addresses many problems which are being faced in the traditional databases through its In-Memory concept. Disk I/O when a hard drive is used to store the data, CPU sits idle during the time the data is being written. Hence Disk I/O always causes a performance bottleneck. Whereas In-memory storage overcomes this problem since the data is stored in RAM rather than hard drive. 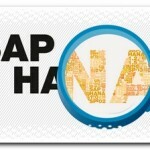 SAP HANA utilizes this technology reducing the performance risk. Hence for HANA to be installed, we need to have good hardware configuration – 40 cores and 512 GB RAM. With SAP HANA you get the power to develop In-Memory apps that analyze massive volumes of data in real-time. OLTP : Simple queries like INSERT, UPDATE, DELETE etc. You are going to be given the newest coaching course material on SAP HANA covering time period examples. The Trainer for SAP HANA has real-time expertise and still has executed variety of real-time HANA primarily based projects. You are going to be given the newest interview queries by a method of that you’ll simply crack an interview. Real-time project in SAP HANA, which is able to successively boost your confidence by raising your technical talent set. All the net coaching sessions are going to be conducted in an exceedingly step by step methodology ranging from the fundamentals and ending at advanced topics in SAP HANA. 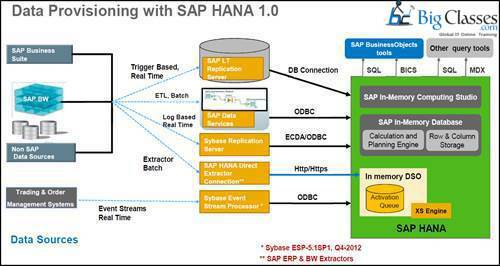 Hana in contrast to SAP Applications. Structure of In-Memory computing studio. How to create a package. 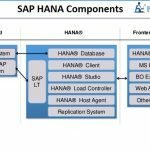 The architecture of Hana- overview. Row store and column store. The concept of Backup and Recovery. Replication Server, process, and Architecture. Basic data service connection types. Create and execute a data service job to populate HANA. Purpose of the Information Modeler. Levels of Modeling in Hana. Create and display data for Attribute view. Create and display data for the Analytical view. Create and display data for Calculation view. Connectivity options for reporting on top of Hana. Understand the Business Objects BI 4.0 platform and reporting possibilities. Set up various connectivity to Hana system for reporting. Business objects BI 4.0 Explorer. Business objects BI 4.0 Enterprise. Crystal Reports via odbc/JDBC connections.